Licensed online gambling is now possible in NJ! We review the best NJ Online Casinos in 2019. With various promotional codes and bonuses, players are able to enjoy many games and some of the favorite casino sites there are. New Jersey was one of the first states to license online gambling and since late 2013, players over the age of twenty-one (21) and located in NJ have the ability to access NJ online casinos to play real money games. With the offering of licensed online casinos in New Jersey, players have the ability to gamble online at online casinos in New Jersey. Of course, this must be in line with state regulators and in accordance with all state laws and regulations governing such activity. For many years, residents of the US were having a very difficult time gambling online. The US did not condone this form of gambling and passed a law which prohibited any banks or major financial institutions from processing transactions relating to wagering activity on online casinos. Luckily, things changed for the better in 2013, when the United States government allowed each individual US state to determine whether they would license online gambling within the state’s borders. Players who are accessing sites operating in New Jersey must be residents of the state or located in the state when they access the site to engage in real money gaming. Players outside of New Jersey can create accounts, but will not have the ability to play any of the real money games that are offered unless they are physically present in New Jersey. Every licensed NJ online casino uses Geo-location software to ensure the players are within the state boundaries when they are visiting the sites. You must be over 21 in order to play. Now that you can play with licensed NJ online casinos, many will be wondering which ones are available for gaming in New Jersey. Major players like playMGM are definitely an option, though you should consider checking out some of the newer online casinos, such as Pala Casino. The law pertaining to gambling requires any online casino in New Jersey to be associated with a land-based casino licensed and located in the state. This means that land-based casinos in Atlantic City could offer their own online website or partner with up to a maximum of five third-party owned online casinos, offering players many different sites that can be accessed. If you’re looking for a land-based casino NJ has issued a license for, at this time you can find at least six to choose from. Players in New Jersey may not have access to the hundreds of online casinos sites that are offered to players from other countries, but this is just the beginning. It is believed that as more states start to license online gambling, inter-state gambling will be allowed, where players in a different state will be able to access any licensed online casinos in another state or states in accordance with the terms and conditions of agreements entered into between and among the various states and all applicable regulations. As with most online casinos, great casino-style slots and table games are offered in NJ online casinos. However, players will also be able to enjoy online poker. With some great poker rooms operating via licensed casinos, NJ poker fans will be able to enjoy various poker games and can even enter tournaments offering potentially high-paying purses. While the majority of online casinos that are available will have poker games, some players prefer to solely play poker, so a poker room will be more beneficial. These rooms are loaded with great poker action and players can benefit from some super promotions and bonuses when they are playing real money games. Any of the sites that offer online poker in New Jersey can be played by players who have established an account with a licensed online casino, are at least twenty one (21) years of age and are physically present when engaging in gaming activity on a licensed online casino. In addition to being able to access a licensed online casino in New Jersey, some of the leading poker sites have been allowed to offer real money games to NJ players. These sites are not physically located in New Jersey but have partnered with the casinos in the state. At online poker rooms, players will enjoy a great array of games like Hold Em, Pai Gow Poker, Draw and Stud Poker, Omaha and others. One of the great benefits is the ability to play in multiple tournaments. There are daily, weekly and monthly events as well as satellite tournaments. There are also qualifiers, where players have the chance to become players on well-known poker tours. Not only do New Jersey players have the ability to gamble at a variety of licensed online casinos, but they can also benefit from mobile apps, where they can enjoy their favorite games on the go and still play for real money provided they are physically present in New Jersey. With a mobile app or platform, players with an account can use their Android, Windows or iOS devices to connect with the mobile site and play the games that are offered. This allows for players to access licensed NJ online casinos on the go anywhere in New Jersey. Players should be aware that there will be fewer game choices with the mobile platform. However, many of these sites will offer the chance to benefit from various bonuses and promotions, so it can be quite beneficial for players who are on the go and wish to keep gambling when away from their home PC or Mac. Like the huge array of games found at land-based casinos in Atlantic City, the licensed online casinos in New Jersey also offer a great selection of games that will suit any player. While the actual game titles may vary per site, these casinos sites all offer the most popular games among gamblers. Each online casino will have a large selection of slots, as these are the most played games. The slots can be either three or five reel games and there are also progressive jackpot slots that offer the opportunity to win large jackpots. Licensed NJ online casinos are also home to many classic table and card games. Registered players can engage in great games of blackjack, roulette, craps, sic bo and more. There are often multiple variations of the games as well, offering more choices. For those that are playing real money games, there will be table minimum and maximum bets and these are divided so that low, mid and high-level players can find the games with betting options to suit their gaming budgets. Finally, players will find quite a few variations of video poker games. Most sites will offer standard games like Deuces Wild and Jacks or Better. There are also other unique variants that offer special payouts for matching certain hand combinations. All of the games that are available for play on licensed online casinos in New Jersey have been tested and approved by New Jersey gaming regulators and are fair and trustworthy. Each online casino is routinely audited, where all game payout percentages are verified and the random number generators are tested and approved by New Jersey gaming regulators for proper function. Online casinos have become a popular choice for players all over the world. However, in the US, their popularity is still growing compared to other places. In New Jersey, online slots, blackjack, roulette, and poker have a huge following! As gambling experts, you can trust us when we say: don’t register with an illegal operator! Instead, see our list of NJ’s best online casinos and register at a regulated operator. You’ll be able to play, win, and actually get paid at these licensed NJ online casinos. With NJ online casino sites you will find the same games that you enjoy in-person on both desktop and mobile devices. New Jersey is one of the few states in the US to offer legal online casino games to win cash. Additionally, NJ online casinos come with the benefits of player protection, secure transactions, and access to popular games from anywhere. The best licensed NJ online casinos enable you to play from anywhere in the state and provide one of the most thrilling experiences online. The best online casinos in New Jersey always offer amazing promotions that can instantly boost account balances, like free spins and credits, and even provide prizes, gifts, and the chance to win vacations. When using us to choose an online casino in New Jersey, you can be certain you are accessing legally operating sites that provide safe and secure environments at all times. When it comes to choosing the best licensed online casino in NJ, you have quite a few great choices. These casinos are known to offer fair games, great customer service, guaranteed payouts, and excellent bonus offers. These sites are all licensed and will accept real money deposits both online and at the casinos’ land-based locations. Virgin has been a top choice and this site offers a $100 cash back offer as well as $10 as a no deposit bonus. This site is home to great slot games, table, and card games as well as bingo games and you can enjoy game titles from Gamesys. The site also offers great game titles from IGT software provider, NetEnt and High 5 Games. Game titles can be accessed through the web browser on desktops or through the mobile platform. Borgata offers access to 234 great games, including 211 slot titles. There is a $20 no deposit bonus offered and a 100% match offer worth up to $600. Borgata offers an easy to use menu system and the site is fully licensed and has been operating since 2013. Tropicana is another top choice and has been operating since 2013. This site offers a $20 no deposit bonus, a loss rebate program and many other promos. It is loaded with top-rated game titles from Gamesys and you will also find titles from Bally, NetEnt, and IGT. The site also provides a mobile platform for on the go action. Harrah’s online is part of the Caesar’s Group and offers a great 100% match up to $300 following the $10 no deposit bonus. Here, you will enjoy browser based games, so you can play using any operating system. The casino site is powered by Dragonfish software and houses many great slots, table, and card games. The mobile platform is a bit limited, only offering 11 games, but this is expected to be extended in the near future with the addition of new game titles. SugarHouse is the newest NJ online casino to be offered, opening in 2016. This site offers an extensive selection of games and offers a bonus of up to $20 if you are new to the site and are not making a deposit. There is also a 100% match bonus up to $100. There are 227 games that can be enjoyed and there is also a mobile platform. If you are interested in other casinos than the one above mentioned, read our review on 888Casino and Pokerstars! New Jersey was one of the first states in the US to legalize online gambling and since 2013, the state has offered some great sites. You can choose from leading operating online casinos that are fully licensed and offer an array of games from amazing providers. 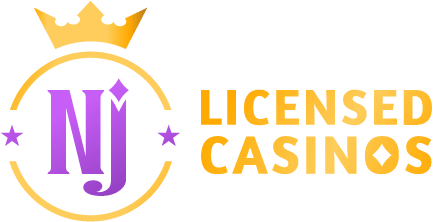 With the best licensed online casino in NJ, you will immediately know that your information will always be secure and that you will be protected by gambling laws. Based on the online casino USA legal landscape, you must be physically within the borders of the state to engage in any real money gambling at an NJ online casino. To ensure you are located within the state, all NJ online gambling sites will make use of Geolocation services. This will prove that you are in the state and are legally able to access real money games. If you are not located in New Jersey, you can access sites and play games for free, but will not have the ability to create or maintain any real money account. Online casinos have much to offer. You can enjoy realistic casino games from the comfort of home and even access these same games on mobile devices. However, online casino sites offer much more than a standard land casino, especially when it comes to player incentives in the form of promotions. Each NJ online casino will present you with exciting offers that can add free casino cash to your existing account. You will benefit from rewards from the very first second you register and will continue having access to top-paying bonuses and free offers. Check out our review on How to get Online Casino Bonuses. With casino promotions, you must be aware of any restrictions that are in place, so you should take time to read the fine print. In the terms and conditions of a bonus, you can learn what games can be played, how much you can win with the bonus money and how much you have to spend from your own account to withdraw funds won from any bonus money used. There are many offers on hand and you will quickly start to enjoy bonuses when you register at licensed NJ online gambling sites. The most common bonus that can be enjoyed is a welcome offer, which is presented to you if you are a new player and are creating an account. These offers will require you to make a real money deposit to the new account and will then grant you a matching bonus. The free money can then be used to place wagers on supported games, generating real money payouts. Some online casinos in NJ will also offer no-deposit bonuses, where you do not have to deposit any funds, but can still get some free cash to preview the site and some games. These bonuses are worth a small amount, but they are just enough to get you started as a new player. After redeeming a welcome bonus, you will find that the best online casinos in New Jersey will have ongoing offers. These can provide free spins, more free cash and credits, and other benefits. Casino sites online will also have great loyalty programs that award you with points as you place wagers. When you collect enough points, you can redeem them for free cash! The US ruled back in 2013 to allow individual states to legalize online casino gambling. When the laws were first drafted, online sites had to be in connection with land-based casinos in the state in which they were operating. 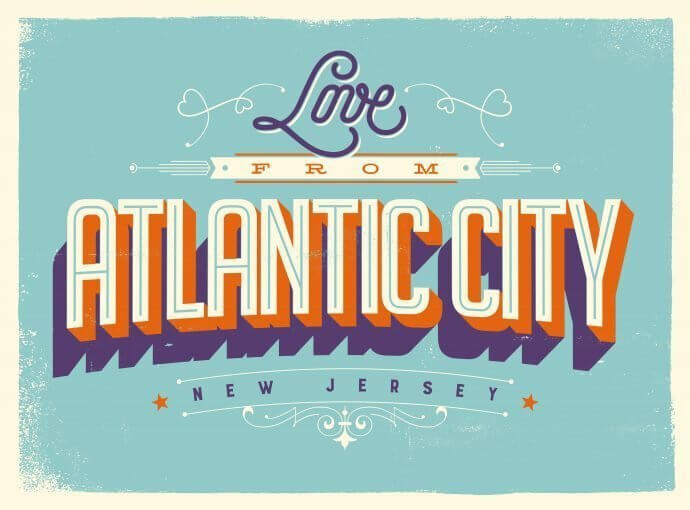 This led to the opening of some amazing sites, especially in New Jersey, where Atlantic City is home to some of the best casinos in the country. By being licensed and regulated by the state, players get the most secure connections and trusted games. NJ casino sites are home to some of the hottest games, many of which you will recognize if you have played in a land-based casino. Remember, regulation means they offer real money payouts! Of course, US laws are strict regarding gambling online, especially towards offshore gambling. Thus, it can be difficult to create a real money account. This is because of UIGEA, which prevents you from using credit and debit cards at offshore online casinos. While not every state in the US has online casinos, there are many states that are looking into offering these types of sites so that US-based players will have more options. As of now, you can only legally play within the US if you are located in Nevada, Delaware, or New Jersey. Luckily, there are some amazing NJ online casinos that are up and running. Generally, they offer fair games, great payouts, and endless ways to boost account balances and benefit from payer incentives. If you are seeking a trusted casino site and are looking to enjoy some of the greatest real money games in the US, online casino jersey options are the best choices. Finding an online casino takes time. With so many sites available, you should review your options to make sure they meet your needs. Remember, each site has something different to offer. Regarding NJ online gambling, many of the sites are owned by the same casino groups, so you may see many of the same games. However, the differences lie in the promotions and offers. First, make sure the chosen NJ online casino is actually licensed and regulated. This will ensure protection when accessing real money games. Again, you can only engage in real money play if you are located in NJ when accessing online or mobile apps. Once you know if a site is licensed, you can browse through the games to see what is being offered. The best NJ online casinos have a stellar selection of slots as well as a variety of table and card games. These online games all replicate what you would enjoy at a casino, so you will be able to enjoy realistic action and have the chance to earn payouts. If you’re seeking a specific game title, you may have to check out multiple sites to find it. Finally, there’s one last thing to consider when choosing the best licensed online casino in NJ: the welcome bonus. Some sites will have a no-deposit bonus, which is great if you are new to online gambling. All sites have some kind of deposit bonus, which award free cash when you make the first deposit. When choosing bonuses, make sure to select the one that offers the most amount of cash but has the lowest possible wagering requirements. That way you can reap the benefits of the offer quickly without spending too much of your own money.